No Up Front Fees! Call Now. 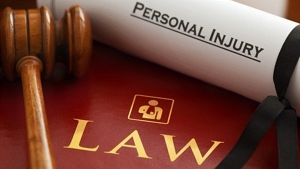 With over 57 years of legal experience in personal injury cases, our team of accident and personal injury lawyers are ready to fight to put the law on your side. We understand what it takes to succeed in the Phoenix, Glendale, and Goodyear courts and you can rest assured that with Skeens & Anderson on your team, a successful outcome is more likely to occur. When it comes to your quality of life and your future well-being, you need to get a confident, competent leading personal injury lawyer. Skeens & Anderson can help you get the financial settlement you deserve whether you've suffered a motorcycle accident, drunk driver accident, have been accidentally shot, or another type of personal injury. Call (623) 688-5426 today for your free consultation and give Skeens & Anderson the opportunity to fight for you. Copyright © 2018 skeensandersonlaw.com All rights reserved.